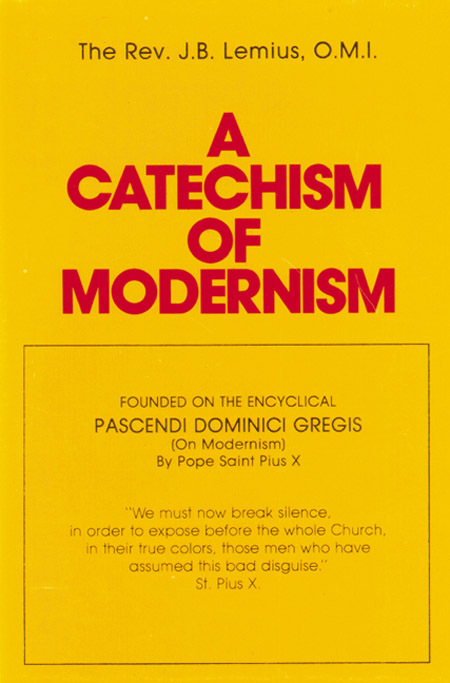 This post is part two in a series of posts on the Synod of the Family and Modernism. Read part one here. The Synod of the Family inches ever closer. We must remember to spend our time in prayer and fasting for this event. We are in the fourth greatest crisis of the Church, according to Bishop Athanasius Schneider. Bishops, Cardinals, and even the Pope are speaking openly about the need for Church teaching to change. Many in attendance at the Synod are in favor of allowing the divorced, remarried, and openly homosexual to receive the Holy Eucharist, without amending their lives. This is scandalous to hear from those who have been ordained to safeguard Christ’s teachings with their very lives. Q. Surely you do not stigmatize Modernists, those men who pose as Doctors of the Church, as ignorant men? A. 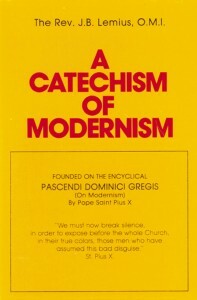 Yes, these very Modernists who pose as Doctors of the Church, who puff out their cheeks when they speak of modern philosophy, and show such contempt for scholasticism, have embraced the one with all its false glamor because their ignorance of the other has left them without the means of being able to recognize confusion of thought, and to refute sophistry. Scholasticism allows for understanding and properly interpreting scripture, understanding the fathers and councils of the Church, and to combat heresy and error. We see that scholasticism’s greatest strength is combating error as the enemies of the Church are always trying to introduce their errors into her thinking, much like we are witnessing today. The aforementioned attitudes of modern philosophy are in conflict with scholasticism as modern philosophy is rooted in error. However, these bishops enjoy the glamour of modern philosophy, as the world is enchanted by it. The world promises riches and praise when adoption of its policies is adopted. Due to their ignorance of scholasticism, they fail to realize the errors and heresies of modern philosophy. Thus, they are unable to realize their error and instead proclaim these errors as truth. Continue to fast and pray, as we are indeed in dark times. 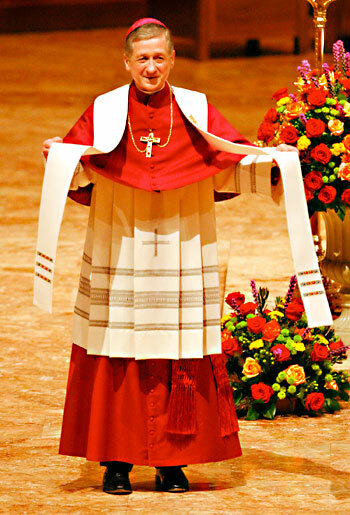 Dare we hope that Pope Francis will uphold Church teaching?